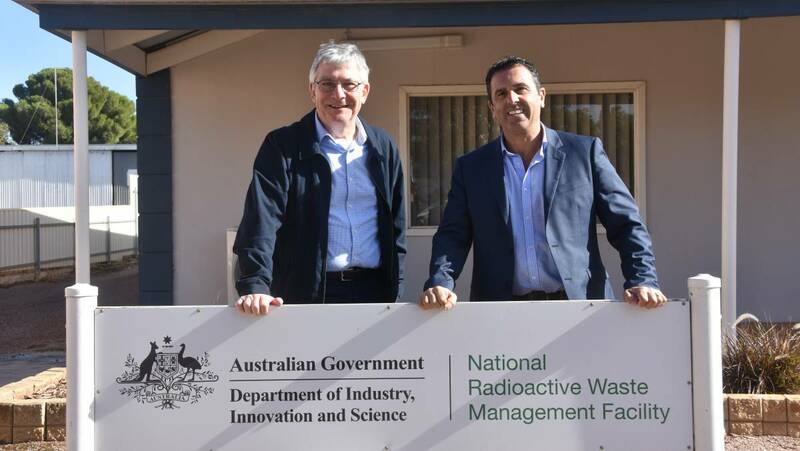 Dr Paterson visited Kimba on Friday with Carmelo Pesce, the mayor of the Sutherland Shire, which is home to the Lucas Heights reactor. According to the Eyre Tribune, the nuclear guru promised “45 jobs [that] will vary from full-time work, to shift work and on-call. Dr Paterson said the announcement to the Kimba Economic Working Group and Consultative Committee and other members of the community received a positive reaction. …….. If the proposed facility does go ahead in Kimba, Dr Paterson said it would receive a number of ongoing visits.